These acts are not exclusively African—brutality, despotism and corruption exist everywhere—but African societies, for reasons buried in their cultures, seem especially susceptible to them. I have trouble believing that was written one decade ago, rather than half a century ago. Since then, the venerable news magazine has added a regular “Middle East & Africa” section, as well as a blog on Africa called Baobab. These are vast improvements over their previous habit of cramming occasional Africa stories under the “International” heading. 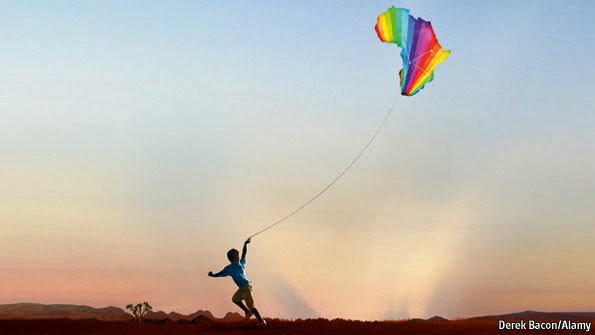 This week, The Economist cemented its new outlook on the continent with a lead article titled, “Africa rising: The hopeful continent,” and an accompanying piece on Africa’s economic growth. These articles read like the bizzaro-world version of the earlier coverage. The list of hopeful factors is long: improved governance, better health and educational outcomes, mobile technology, demographic changes, foreign investment, intra-African trade and economic integration, and more. Much more attention is given to the positive actions taken by African entrepreneurs and even politicians, as opposed to foreign powers. Ongoing problems are acknowledged, but with much more nuance. Perhaps the best thing the developed world could do for the growth prospects of Africa is to stop talking about the growth prospects of Africa. Are mammals cute? My little dog is cute as the dickens but the star nosed mole gives beastly a bad name. The word “mammal” is the wrong abstraction for discussing cute. In other words: a pronouncement on the prospects of “Africa” will always be confused. You have to move down to at least the regional level, maybe even national or sub-national in some cases. I wouldn’t criticize this particular publication too much for this. Any effort to talk about the continent as a coherent whole — especially in a 1000-word news article — is going to run into problems. If you scan my blog’s archives, you could probably catch me making the same mistake. At least these recent articles are more positive. As I’ve mentioned before, perhaps simplistic hopefulness is a worthy antidote to simplistic hopelessness. Abstracting your analysis to the continental level is bad enough. Far worse is making policy prescriptions at that level. One sentence from this week’s lead article stood out as an egregious oversimplification of this sort. I’ve emphasized it in the paragraph below. Land reform is an incredibly complicated and politically contentious issue. Local context and history matter a great deal. This article fails to even nod at those issues, while still feeling confident enough to make a recommendation. That strikes me as poor form. Ultimately, the trend I want to highlight has nothing to do with these articles or with The Economist. This is one publication among many that’s giving increasing attention to parts of the world that it once ignored or marginalized. There’s more progress to be made in how the international media covers less developed countries, but progress is being made. P.S. Big hat tip to Ken Opalo, who beat me to the comparison of the old and new articles. Hi Dave, thanks for this post, it feels great to see such a change in perspective on African future prospects. Though, I still don’t understand the growing hostility towards using the term “Africa”, as if it was a denial of the huge diversity existing in the continent. Diversity exists at all levels. Let’s say I use the term “Nairobi”. Nairobi includes huge slums and fancy neighborhoods. It includes the informal sector and export processing zones, but it would be madness to criticize the use of the word. What matters is that whoever talks about Nairobi makes the proper specifications and distinctions. Of course Africa is much bigger and diversified. Though, new opportunities are arising all over the place, from north to south and from east to west. There is no mistake in looking at the aggregate level statistics, as long as they do not become the justification for (IMF style) “one size fits all” development policies.